Cummins was founded in 1919 and has grown a strong marine knowledge. They have created a legacy, providing reliable and durable diesels to the marine industry with a range of power 5.9 to 95 litres which allow use by commercial, government and recreational applications. Cummins have engineered their engines and generators to meet the durability and performance needs of customers. Berthon has an abundance of experience in all marine sectors. Marine engineers, electricians and shipwrights are employed at our modernised south coast shipyard, collating to 100 skilled technicians in total. We are able to provide our clients with services from start to finish, across the UK. 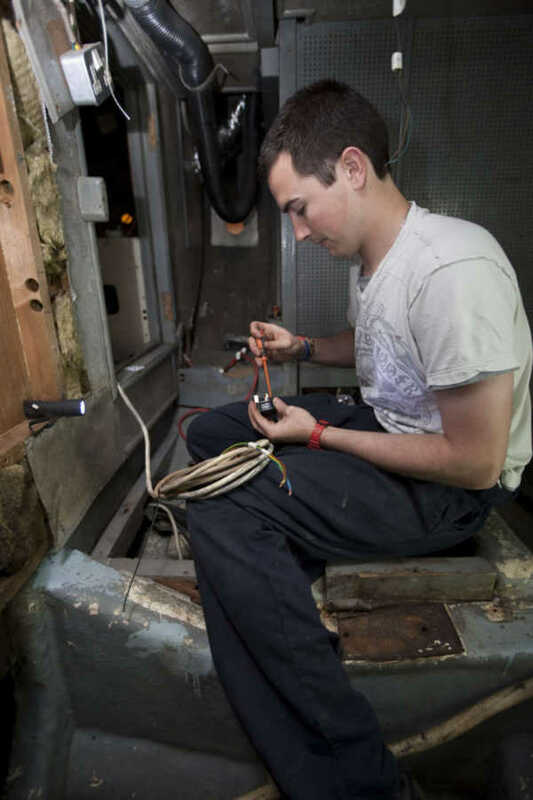 Our marine electricians are qualified in 12/24V DC and 240V AC electrical systems. Their work ranges from complete installations, re-wires, modifications and repairs to boats electrical circuits, installation of electronic navigation and communication equipment. Our marine engineers carry out work, ranging from mechanical fit-outs, pipe fitting and plumbing to engine servicing, repairs, fabrication and welding on all boats in build, in refit or repair. Berthon installs engines and generators across a variety of yachts, motorboats and workboats in the commercial, leisure and professional industry. We employ a department of experienced refit and project managers, with a strong team of engineers and electricians all with extensive marine engineering and electrical knowledge. We are able to design, supply and fit generators, supplementary power systems and marine engines to cope with all power and propulsion needs on board your vessel. Ensuring your generator or engine is installed correctly is vital to the use of the machinery. Dependent on the work being carried out, a full sea trial and commissioning will be undertaken by Berthon to ensure it is in full operational order. Berthon has an extensive and thorough history of building, refitting and servicing commercial, MoD and professional vessels along with a multitude of leisure yachts and motorboats. Our procedures of running commissionings and sea trials have been refined over many years through working with the RNLI, MoD, Pilot Authorities, professional Captains and owners of leisure yachts. Berthon provides expert servicing for all marine engines and power systems. We offer an unrivalled skill in servicing and fitting across a wide range of yachts and powerboats and commercial workboats, ensuring nothing will let you down. Our qualified engineers can diagnose and repair your marine engine to ensure its back up and running as quickly as possible. We use genuine manufacturer parts to ensure all-out reliability. Our yacht and motorboat refit department is dedicated to providing a professional service for our customers and can deal with any required maintenance, servicing or a full vessel refit and refurbishment whatever their size.